We are having very convincingly great feedback from the folks and pals that follow us regarding the furniture items recycled for the commercial venues. We have worked on a couple of shop and office furniture items and we have been so much praised and admired by them. 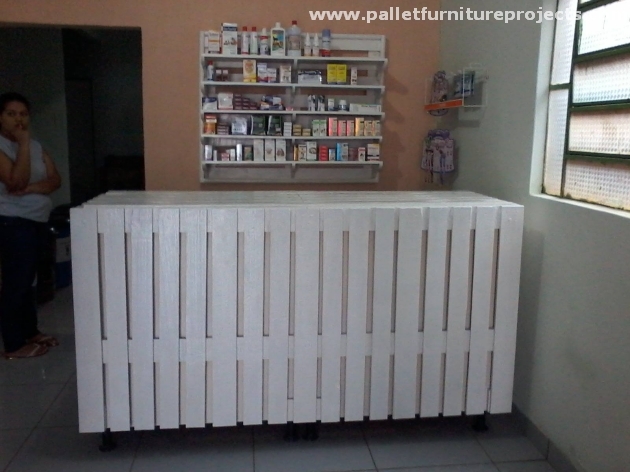 So here gain we were compelled to bring some shop counter and shelves recycled with pallets. 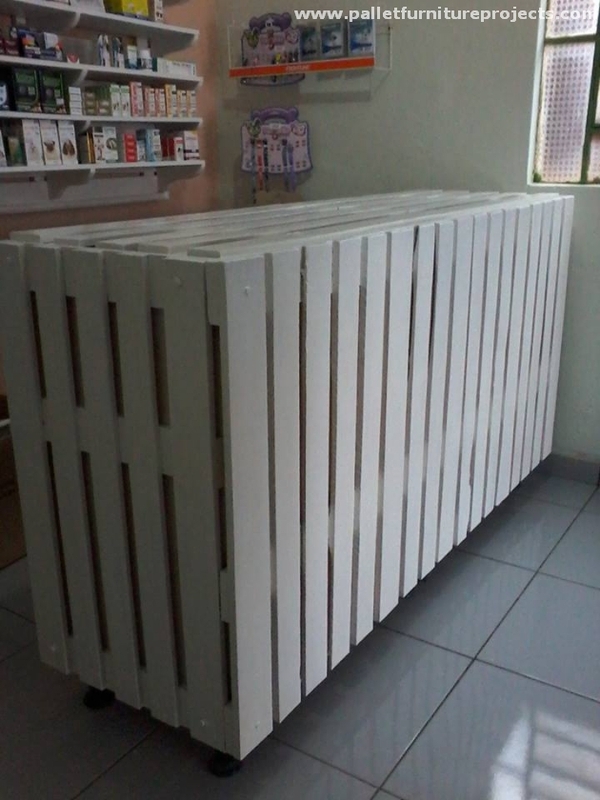 People are becoming much inclined towards the wooden pallet recycling with every passing day. And this is what keeps us motivated and keeps moving forward. Look at this shop counter made using the pallet wood planks. It carries a conventional design that is carried by most of the shop counter tables. It is long it is tall and it is wide as well. And the next one creation of the day would be wooden pallet wall shelf. 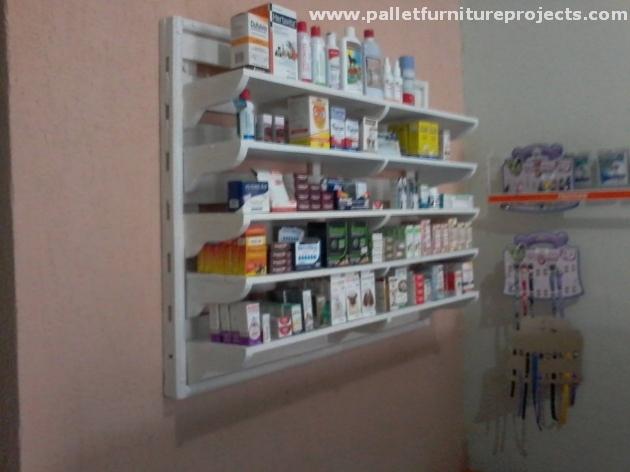 A shelf is an integral part of the shop interior because you have to display certain articles on the shelf when you are running a typical shop set up. So a wooden shelf becomes a must have for you, like it is displayed here in this picture. 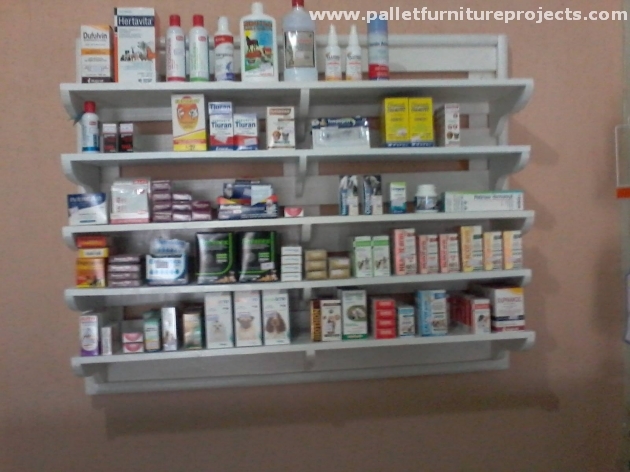 A large number of items are arranged in a very organized manner on the pallet wood recycled wall shelf. First of all be a bit specific about the shop counter, this is probably the most important item because the main transactions are done here. 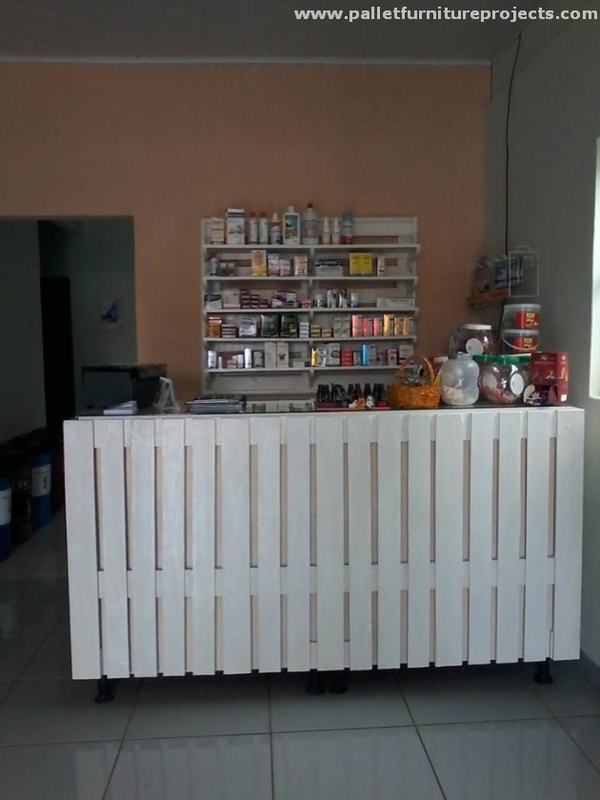 This huge shop counter is very skillfully made with the pallet planks obviously using the basic wood work tools. And a bit of discussion about the shop shelf made again with the same pallet wood planks right behind the shop counter. This huge installation is the centre point of your shop as it displays the main items that you have in your stock. Both the items are the creation of pallets.